The deal will return control of Bolthouse to Jeff Dunn, an operating partner at Butterfly who will again assume the chief executive role at Bolthouse upon the deal’s close. Dunn previously served as president and CEO of the brand from 2008 until 2012 when it was purchased by Campbell for $1.55 billion. With Dunn still at the helm, Bolthouse became a part of Campbell’s Fresh Division. In 2014 he took over as president of the division until his departure in 2016, when he left Campbell to head up now-defunct beverage technology company Juicero. 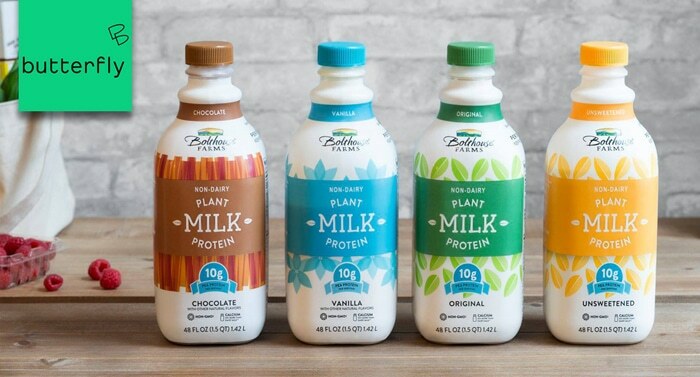 Based in California, Bolthouse Farms produces plant-based milks, juices, protein drinks, salad dressings, and baby carrots. According to a press release, the company employs about 2,200 people and owns manufacturing facilities in California, Illinois, Washington, and Ontario. Founded in 2016, Butterfly Equity has primarily focused its acquisitions on the food sector, previously purchasing striped bass producer Pacifico Aquaculture, farm-to-table fast casual restaurant Modern Market, and Los Angeles-based restaurant Lemonade. Bolthouse Farms is the firm’s first foray into the CPG space. “We are thrilled to partner with a vertically-integrated produce and fresh food leader with a history as rich as Bolthouse Farms, and we believe the company’s future is very bright especially given the continued rise of plant-based food in the diet of today’s consumer,” said Butterfly co-founder Adam Waglay in a press release. Reached for comment by BevNET, a representative for Butterfly declined to comment further, noting that the transaction has not closed and is still subject to regulatory approvals and price adjustments. In August 2018, following the abrupt departure of CEO Denise Morrison earlier that spring, Campbell announced a large scale cost-saving strategy which included shutting down its Fresh Division and putting brands including Bolthouse and salsa brand Garden Fresh Gourmet on the market. Though the division accounted for $2.1 billion sales — 25 percent of Campbell’s overall revenue — the conglomerate had long struggled to turn around its overall declining sales (down 3 percent in the fourth quarter of 2018) and felt the division’s fresh focus was outside its core competency. In Campbell’s 2018 end of year earnings call with investors, interim president and CEO Keith McLoughlin said the company intends to use the proceeds from the sale of the Fresh Division brands to pay off debt. “While these are great brands and solid businesses, they do not fit with our new strategic direction and we believe they will be of greater value to new owners who are focused on these categories and geographies,” McLoughlin told investors. According to Campbell’s most recent second quarter earnings report, released in February, the Campbell Fresh segment saw organic sales decline 7 percent to $239 million, largely due to a drop in refrigerated soup sales. The sector experienced an operating loss of $14 million in the quarter, compared to an $11 million operating loss in 2018. Bolthouse Farms saw a drop in its refrigerated beverage sales, which were partly offset by a gain in carrots.